Housekeeper Services vs. Maid Service: It may not seem like a big issue to hire an individual housekeeper over a professional cleaning service; after all you are saving a few dollars right? What better deal could you ask for? Well, unfortunately there are a few issues you might have over looked, and here are a few of them. The first thing that might be a struggle to deal with is the reliability of the service you’re looking for. Everyone wants to know when the housekeeper is going to come, and you’d also like to be sure that they’re going to show up. What happens if your housekeeper gets sick or wants to take a vacation? Who cleans your house then? If you ask any homeowner who has had an individual housekeeper, you’re likely to hear a story of an instance in which their cleaner didn’t show up. It might not always be the biggest issue, but if this happens when you’re planning to have company over, you’ll be in over your head. You will be stuck scrambling to find a last minute service, or stuck doing it all yourself. When hiring a self-advertised individual for your cleaning needs, it’s difficult to find reviews and honest feedback on the quality of a “non-professional” house keeper’s work. As a home owner, it’s a strange feeling to let in a stranger into your home to clean. And, you’re putting yourself in big risk if they aren’t trained, insured, and bonded. Even using references can only give you so much reassurance. Your possessions and valuables are safe when a professional cleaning team cleans your home. A common question we get as a professional cleaning service is if our workers have their social security taxes paid. Yes, they do. 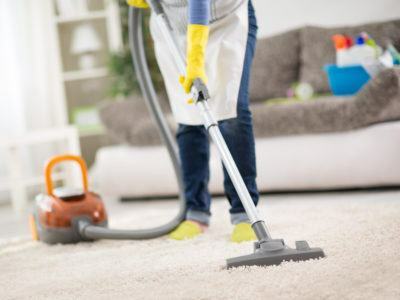 With a professional cleaning service, all the paperwork and payments to the employees are out of your hands and you just get to go about your life once the maids leave your home. It’s as hassle-free as it can get when it comes to home cleaning. No IRS knocking at your door looking for you to pay taxes and no having to worry about unemployment benefits or any other tax-related mumbo-jumbo. The last and most important reason to not hire an individual housekeeper: LAWS! Say your independent housekeeper, let’s call her “Jane”, isn’t insured or bonded, but always does a good job. Hey, no big deal, what’s the worst that could happen!? Well, unfortunately, Jane didn’t see that stool behind her as she was backing up while vacuuming. She trips, falls, and breaks her elbow. Ouch, tough luck for Jane. Do you know who might get stuck paying the hospital bills? You! She has every right to blame you for her injuries that were caused in your home and you’ll be left to pay her hospital bills. Avoid ALL of this pain on your end by hiring a professional cleaning service that has workers compensation! With a professional cleaning service, if someone is hurt on the job, they’ve got it covered, not you. Think twice before you hire an individual housekeeper. Just choose a professional cleaning service. When you hire a maid service, it doesn’t have to be complicated or stressful, and it isn’t.